Here is one type of Illuminated Manuscript Letter Design that will be made in class. Designs – This page will be available for students to cut up and use in class along with others. Make your own designs too! I’ll be bringing the Spirograph along. 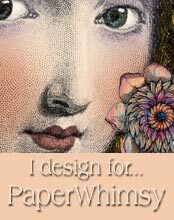 Categories: Blog | Tags: alexandria va class, artistic artifacts, designs, gelly roll pens, Illuminated Manuscript Letter, Mixed Media, spirograph | Permalink.